UK banking giant Lloyds Banking Group has banned credit card customers from buying bitcoin amid fears they could be left in debt as the cryptocurrency’s value deflates. Lloyds Banking Group is easily of the largest retail banks in the UK, and dominates a massive swath of Britain’s retail banking market. In addition to the eponymous Lloyds Bank, it also owns Halifax, Bank of Scotland, and MBNA. The ban went into effect on Monday. It applies to the Lloyds Banking Group’s eight million credit card holders. However, the ban will not affect investors who make crypto purchases using debit cards. 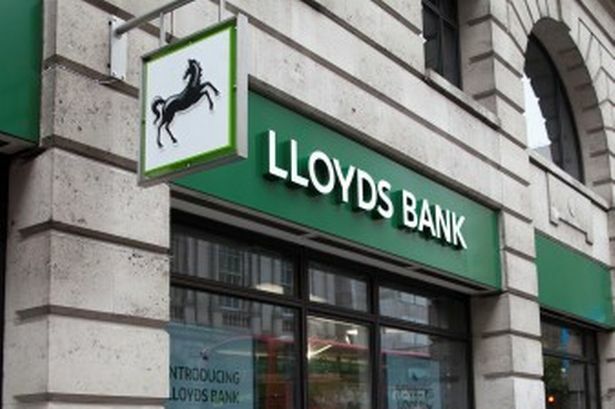 A Lloyds spokeswoman said the move is aimed at protecting customers from running up huge debts from buying virtual currencies on credit if their values were to plummet. Bitcoin surged in value during in 2017, starting the year at around $900 and topping $20,000 in December. But the cryptocurrency has since tumbled sharply, dipping below $7,000 today on worries about a global regulatory clampdown. US banking giants Bank of America, JPMorgan Chase, and Citigroup have also barred the purchase of bitcoin for customers using credit cards this month. Other major banks, however, said they will continue to allow credit card customers to buy cryptocurrencies. British multinational bank Barclays said it has no restrictions in place on such purchases. UK customers can use both their Barclays debit card and Barclaycard credit card to purchase cryptocurrency legitimately. “We constantly review our protections for customers as a responsible bank and lender and are keeping this matter under close review,” a spokeswoman for Barclays said.